Update: French police confirmed a total of six attacks in Paris, including two suicide attacks and one bombing near the Stade de France, as well as attacks at the Bataclan concert hall and a restaurant. French news outlets reported that police launched an assault on the Bataclan concert hall, where gunmen were holding 100 hostages. According to The Guardian, eight attackers are dead, several of whom died after detonating suicide belts. Authorities have reported that the number of fatalities has reached at least 120. A motive has yet to be determined, and the attackers have not yet been identified. 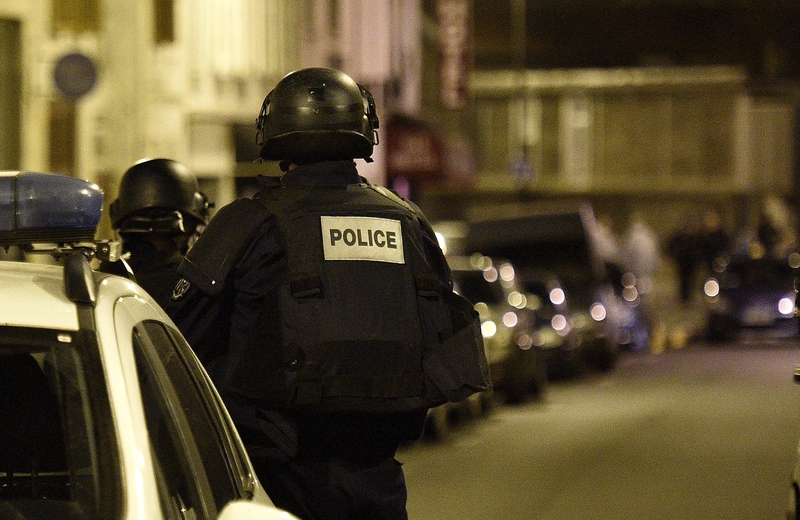 Earlier: According to multiple outlets, the Paris police are reporting that all five Paris attackers are dead. The Guardian reported that French authorities warn that while the main gunmen are down, their accomplices might still be on the loose. There is still no confirmation as to the identities of the terrorists, nor their motives, but what is known is that over 150 people were killed. A Cambodian restaurant, a bar, the stadium, and the Bataclan concert hall all saw intense violence the evening of Friday, Nov. 13. The AP reported that an estimated 100 people died at the Bataclan after the terrorists started shooting them one by one. The police stormed the hall and when they approached four gunmen, three reportedly detonated their suicide belts, according to the LA Times, killing all four. Prefect Michel Cadot told the Guardian, "One set of attackers was at the Stade de France, and at nearly the same time the second group attacked within the city." He went on to say that "all attackers are believed dead" and explained that police are hunting for accomplices. A state of emergency has been declared in Paris. Here's how to help.